We’ll let you in on a little secret: a lot of couples that elope didn’t plan to in the beginning. You’d be surprised how many couples began planning their big day when they started to feel more like they were planning the wedding that was expected of them and less like the wedding they actually wanted to have. Couples come to us to make things simple. They want to get married and have fun while doing it. Is that so much to ask? We think not. In fact, we think every wedding should be fun and, more importantly, we believe that every wedding can be exactly how the couple wants it to be. 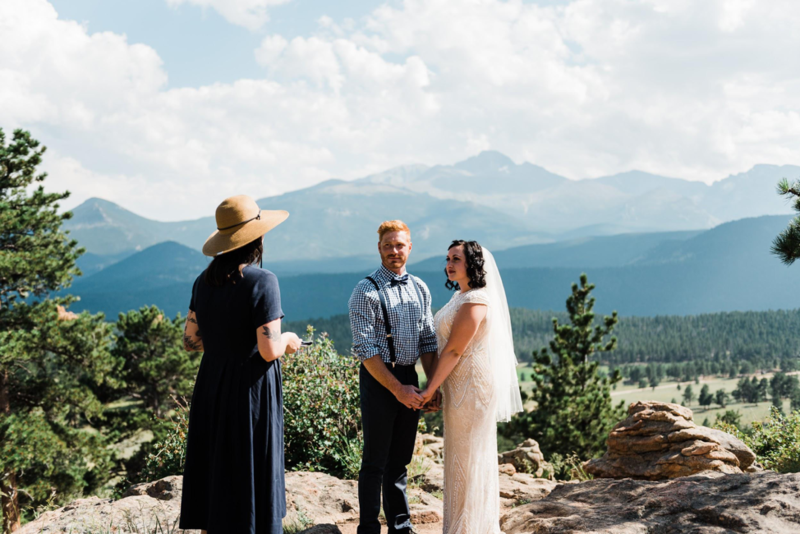 Whether that means eloping to the top of a mountain with only an officiant and photographer in tow, having a small backyard ceremony surrounded by your family and friends or having a big traditional wedding — your wedding day is all about you and your partner and that means you get to celebrate however you want to. We’ve helped more than 2,600 couples tie the knot in beautiful locations all over the nation, from the beaches of Hawaii to the mountains of North Carolina to the city parks of New York City. 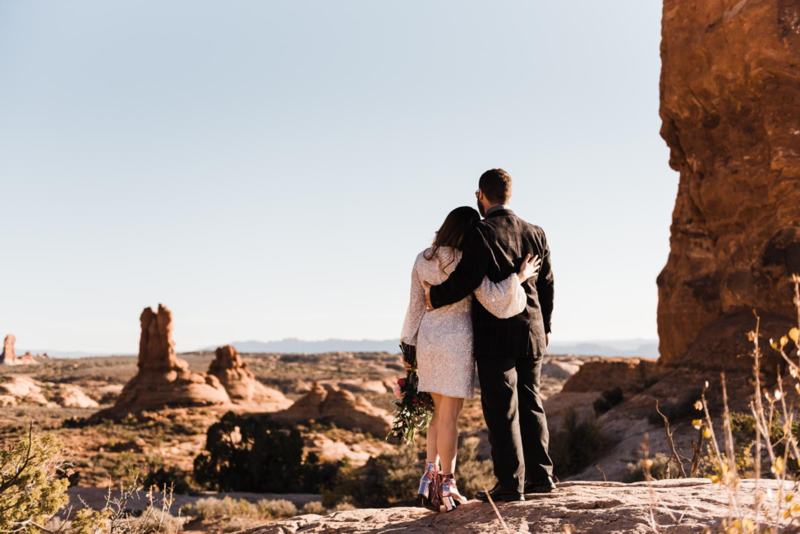 As you can see by some of our favorite places below, eloping gives you the freedom of getting married wherever you want to. 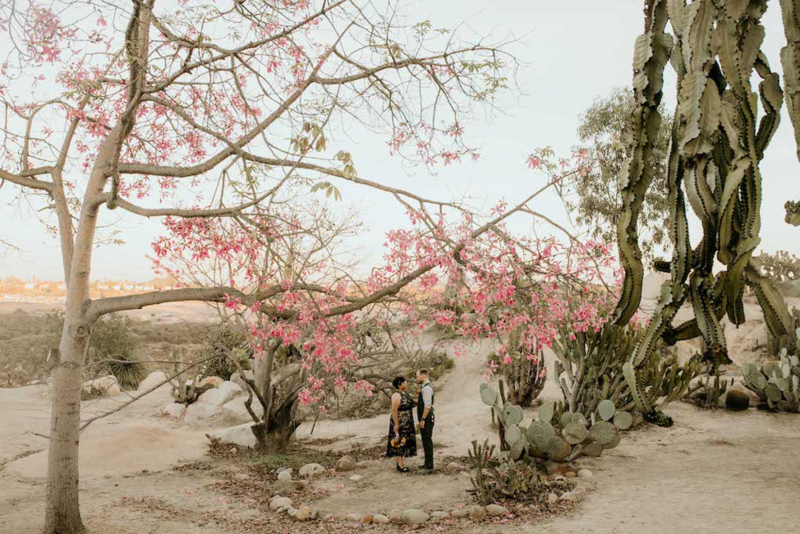 Here are our picks for the best places to elope. Some of the best places to elope double as the best places to adventure. Whether you’re an avid skydiver, backcountry skier, weekend backpacker or just a try anything once kind of person — eloping arms you with the freedom to go anywhere. 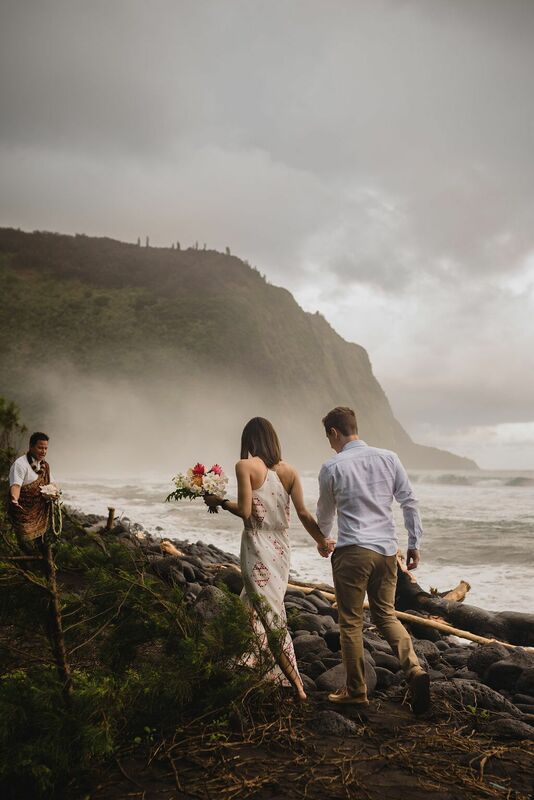 Say “I do” on a beach, in front of a waterfall or below the canopy of a tropical rainforest — Waipio Valley has it all. Hop on an ATV and ride through the Big Island’s exquisite valley to the ceremony location of your dreams. Said to have been the area where some of Hawaii’s ancient kings resided, nowadays it’s covered in Nioi tree forests and taro farms. The Waipio River, for which the valley is named, snakes through the trees until splitting off into multiple smaller rivers, all with individual waterfalls. Waipio Valley meets the ocean toward the North, where a glimmering black sand beach awaits. 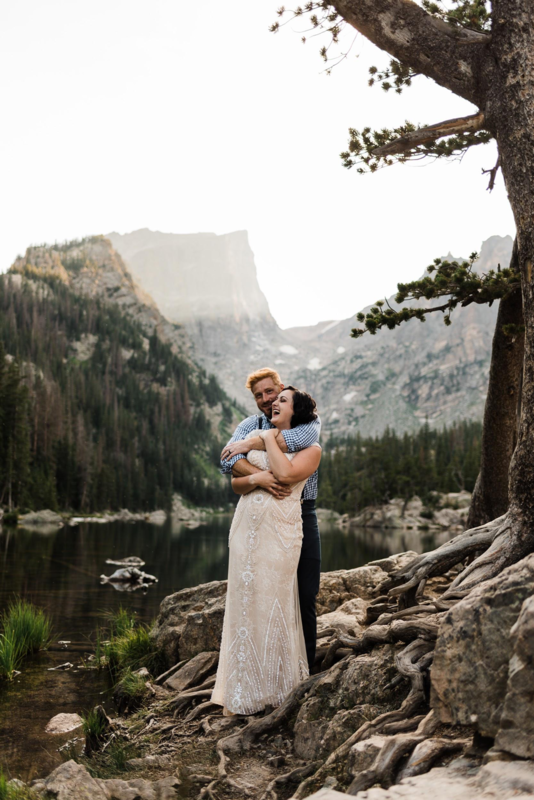 Colorado is one of the most spectacular mountainous regions in the nation and makes for an incredible place to elope. About 70 miles from Denver sits Rocky Mountain National Park — a stunning wilderness area boasting 150 lakes, 350 miles of trails, and 450 miles of rivers and streams. Couples seeking the privacy and beauty of the Western wilderness have endless options here. Hike in or ride on horseback to one of the park’s dazzling alpine lakes, like Dream Lake, Silver Dollar Lake or Lake Isabelle, or to the top of one of Colorado’s many mountain peaks. The small city of Moab is the gateway to the otherworldly red rock formations and massive mesas of the southern desert. Two national parks are just beyond Moab — Arches National Park and Canyonlands National Park. A beautiful hike will lead to massive arches and formations, which create an unbelievable background for a ceremony. 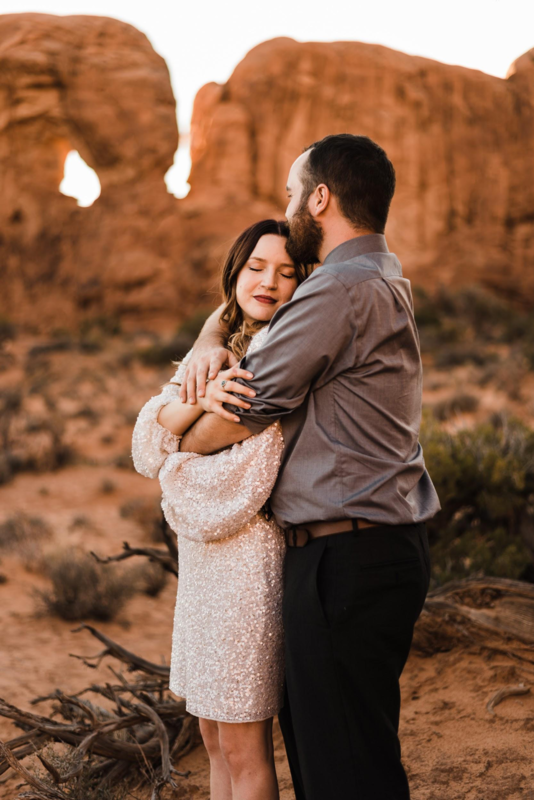 It’s a truly remarkable place to elope, as the red rocks and desert landscape make for dazzling wedding photos. Romance is everywhere, but finding the perfect romantic location in a city you aren’t familiar with can be tricky. 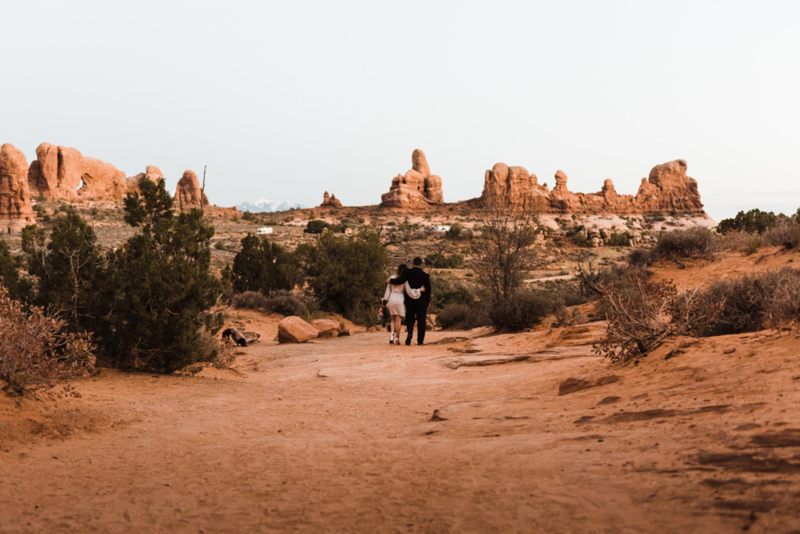 We’ve picked out a handful of romantic locations, so you don’t have to spend time searching for the best place to elope. City Park in New Orleans is a 1,300-acre oasis full of centuries-old oak trees, a fragrant rose garden, lakes, a stunning greenhouse, and historic sculptures. 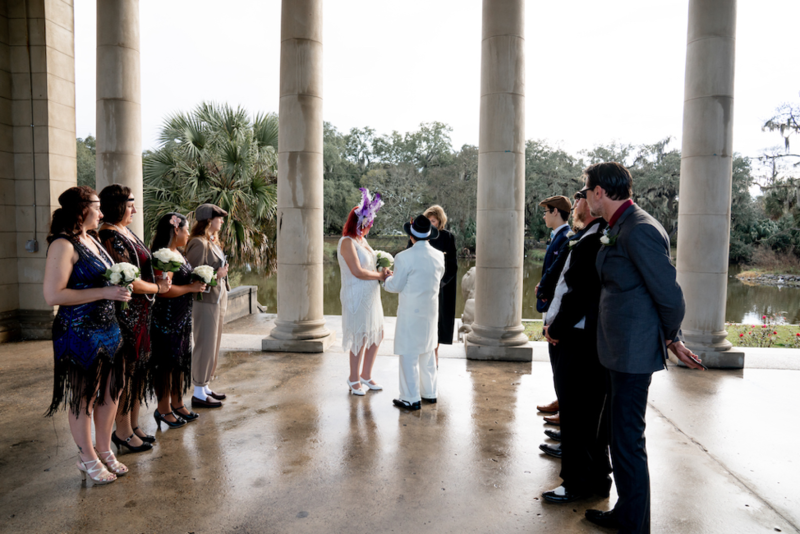 The park’s Langles Bridge makes for an amazing backdrop to exchange vows. Follow up the ceremony with a photo session and a stroll through the greenhouse. Nature lover’s and green thumbs alike will feel right at home in this romantic location. Tybee Island is a romantic nautical setting located just 20 minutes from downtown Savannah. The island has clean white sand beaches and the historic Tybee Lighthouse that was once the tallest structure in America. Tybee Island offers the seclusion of the seashore and small-town charm, all in one beautiful location. 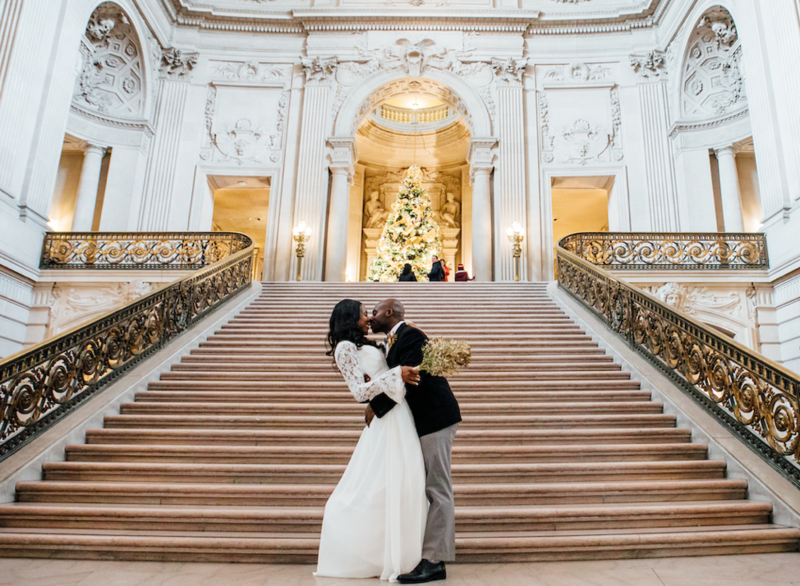 San Francisco’s City Hall is an absolutely gorgeous building with ornate architecture and glamorous style. It’s a venue that offers the perfect balance of ease and elegance. 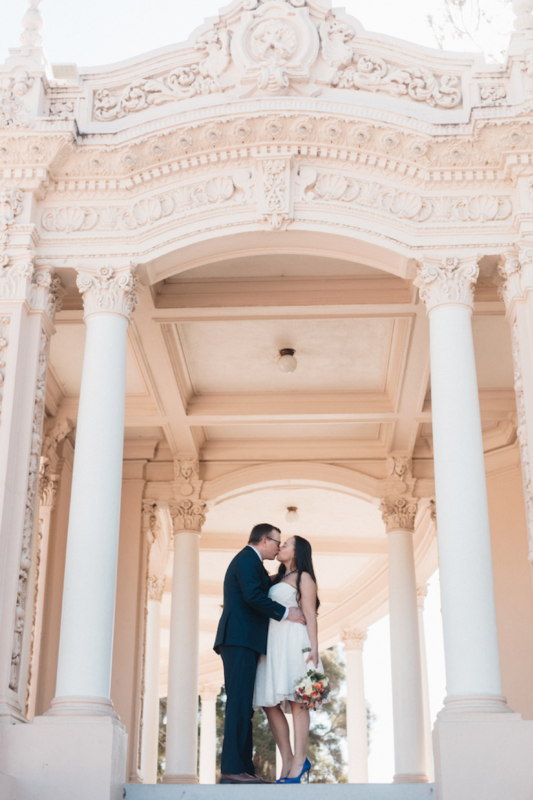 There are several places within the building to hold a ceremony, like building’s beautiful entrance, the massive marble and sandstone Grand Staircase, and the sunny and spacious Rotunda on the second floor. One of the best perks of eloping is the abundance of venues that are virtually free. From public trails to waterfalls to city parks, there are plenty of beautiful places to tie the knot without breaking the bank. 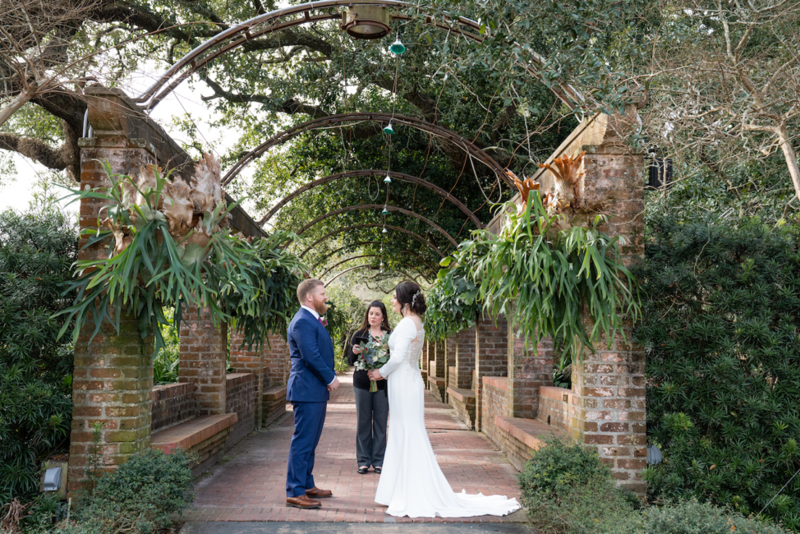 In our book, a venue that is free and beautiful is absolutely one of the best places to elope! In the spring, the Arrowleaf Balsamroot wildflowers set Boise’s wild rolling foothills ablaze with bright pops of yellow and green. 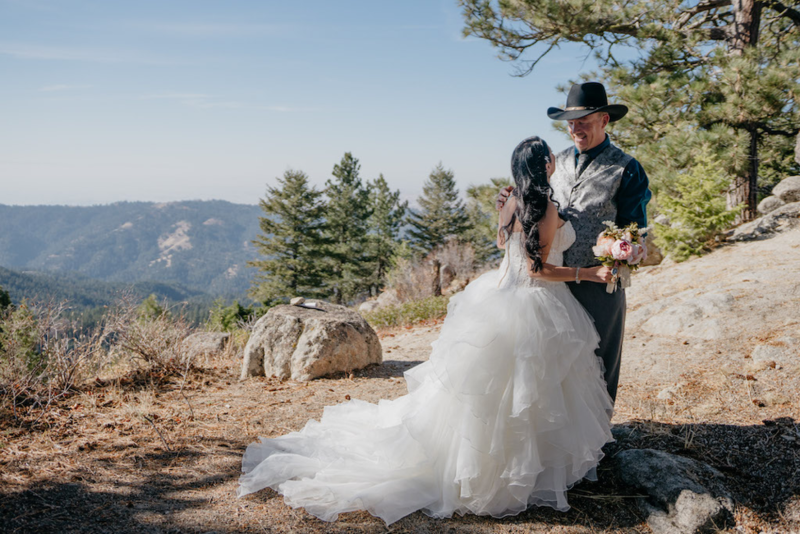 With more than 190 miles of trails, you can hike, walk, mountain bike or drive your way to your ceremony location and say I do just as the high-desert sun is setting without spending a penny. Located in the heart of San Diego, California, this 1,200-acre park is full of culture and character. Within Balboa Park, there are 16 museums, 10 performing arts spaces, 19 gardens, multiple walking trails and the San Diego Zoo. There are several places within the park that are perfect for an elopement and don’t require a permit. You can’t go wrong with Balboa Park’s beautiful landscape and San Diego’s sunny weather. Interested in eloping in one of these magical spots? Drop us a line!